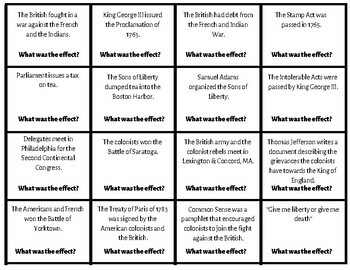 A puzzle for students! The students must match the cause with its correct effect for the Revolutionary time period. 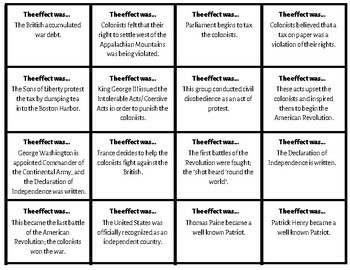 This is a great review activity for students!